I am a Google Certified Digital Marketing Expert. I have vast experience in setting up different business on Google. I can officially register all kind of small and large business on Google. 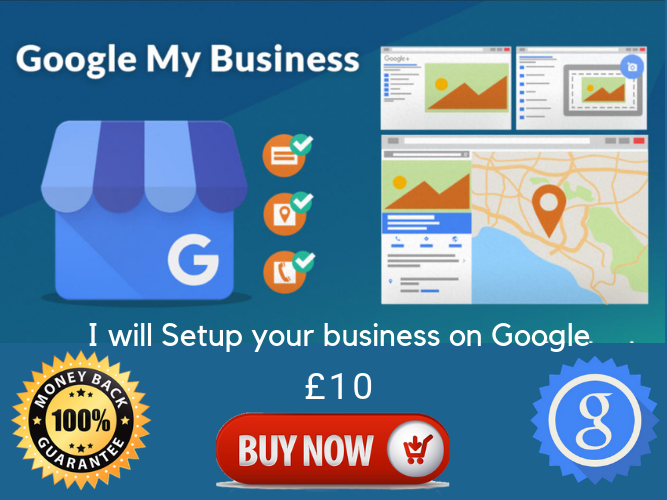 Register your business on Google with a complete setup (account setup and directory submission) with unlimited revisions. I would be really grateful if you could give me an opportunity to work for you. A Software Engineer comes Entrepreneur and a Google Certified Digital Marketer, having hands-on professional experience of 2+ years working with startups and developmental projects....Read moreA Software Engineer comes Entrepreneur and a Google Certified Digital Marketer, having hands-on professional experience of 2+ years working with startups and developmental projects. Over the years, I have worked on SEO friendly Content Writer, Article Writer, Wordpress Development, Sales, Lead Generation, Off-Page SEO, On-Page SEO, Social Media Advertising and Digital Marketing. I aim to build long lasting relationships with my clients by offering them high-end service, quick response time and high-quality work backed by passion and experience. Feel free to reach out to me so that we can start planning your project. 100% satisfaction guaranteed and timely delivery. Give in touch to view my portfolio.